Welcome to Blackhead Expert – a community based around the idea that no-one should be alone in the fight against blackheads. There are many blackhead treatment products on the market today and knowing how to find the right blackhead remover for you can be difficult. Explore our guides on fighting blackheads, not only through our blackhead skincare guides but also through our useful tips and tricks section. Through these tools, we aim to help our readers understand the benefits of blackhead remover products and how to get the most out of them. Here are our picks for the top 3 blackhead clearing products. Please also explore the rest of our site to see a great range of blackhead treatments methods. We believe that dedicated acne and blackhead treatment kits are the most consistent over-the-counter method of treating moderate-severe cases of acne and blackheads. They tend to be more effective than single product treatments as they can utilize a variety of treatment techniques within a set of different formulas. In our experience, the right treatment kit can rejuvenate your face, removing acne, blackheads, patchiness/blotches, and generally improving your skin tone. Our favorite dedicated acne treatment kit is the Exposed Acne Treatment. Click here for our full review of this product. Best for: Anyone who is willing to pay a little extra and put in the effort to clear their skin. Pros: We find that treatment kits typically have the highest chance of success at removing blackheads. Cons: Can be time-consuming and more expensive. Blackhead creams aim to provide a simple all-in-one solution to blackheads, and they can be quite effective. However, it is common for cheap versions of these products to contain harsh chemicals and irritants which can in some cases (especially for people with sensitive skin) make your condition worse. However, there are some great blackhead removal creams out there which can work wonders for people with mild-moderate blackheads where simple skincare routines have failed. These products are often a practical long-term solution to blackheads. Best for: People with oily or combination skin, where a simple skincare routine is not enough. Pros: The right product can be a great long-term solution for blackheads. Cons: Natural and effective products can sometimes be expensive. Salicylic acid is one of the most common compounds found in acne and blackhead treatments. It works by improving the skin cell turn-over rate and dissolving the contents of blocked pores. This can result in fresh-feeling skin with a healthy glow. Salicylic acid works best in combination with anti-inflammatory and anti-bacterial ingredients, providing an all-round anti-acne formula that is relatively gentle on the skin. For removing blackheads, we believe a salicylic acid facial cleanser is ideal. Salicylic acid may cause irritation in people with sensitive or dry skin and should not be used during pregnancy. To see our full salicylic acid guide and advice on what we believe are the best salicylic acid products, click the link below. 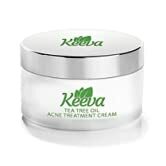 Best for: People suffering from blackheads or mild acne who don’t have irritable skin. Pros: Can provide a long-term solution to blackheads. Cons: Can cause dryness and irritation. Avoid using if pregnant. Healing clays are a wonderfully versatile treatment for many skin conditions and make a fun addition to your weekly skincare routine. We recommend that you use clay masks every 1-2 weeks, if you have oily skin you may use clay more often, however overuse can cause irritation. Clay masks and other face masks need not be a chore, they are fun to do with friends and in my experience give your face a soothing pulsating massage. If you have problems with blackheads and have not yet tried clay masks, then we think you should consider giving them a go. Take a look at our clay mask page for more detailed information on choosing the right clay mask for you. Pore strips are an appealing short-term solution to blackheads. They provide instant results and when used correctly can be effective at reducing the appearance of blackheads. They are however only a short term solution. A pore strip will only remove the very surface of the blackhead, making them appear to vanish, however, they often pop right back up after just a couple of days. Pore strips are not completely useless though. They are a great tool to have at the ready in case of a sudden outbreak and are very cheap to buy. Make sure however that you choose pore strips which do not contain irritants. Please consult our pore strip page for a more detailed guide on pore strips. Best for: Oily or combination skin. Cons: Not a long term solution and may damage skin. Using a facial cleanser is an easy addition to your morning routine which can provide great results through gentle, non-invasive means. Using facial cleaner only reduces your risk of blackheads and acne, but can also improve the general health of your skin. For those with oily skin, thoroughly cleaning the face once to twice a day is important. Facial cleansers also often contain moisturizing elements which reduce dryness. Have a look at our facial cleanser page for the best facial cleanser for blackheads. Cons: We can’t think of any! A blackhead extractor is another great addition to your blackhead removing toolkit. This tool is often used in professional spa facials to quickly extract large blackheads before a more thorough clean. Take a look at our blackhead extractor tool page to find out more. Pros: Quick results for large visible blackheads. Cons: Not as delicate as other treatments. Blackheads, whitehead and pimples are caused by a very similar problem. It all starts when a collection of sebum (oil secreted by the skin) and skin cells build up inside one of the skin’s hair follicles. If too much sebum is produced, the build up may plug the pore, allowing bacteria to accumulate. This produces what is known as a “comedone“. Whiteheads and blackheads are both a type of comedone but are slightly different. When a whitehead forms, the pore is completely plugged, sealing it away from the outside environment. Conversely, when a blackhead forms, there is a tiny opening in the pore which allows air to get inside. Sebum contains a pigment called melanin, the same compound that colors your skin. When melanin is exposed to oxygen in the air, a reaction occurs called “oxidation” which turns the pigment black. The black color lends credence to the false myth that blackheads are caused by dirt. Click here for more blackhead myths. A comedone will sometimes turn into a pimple when the sebum filled pore bursts under the skin. When this happens, white blood cells rush to the scene to fight off the invading bacteria, causing inflammation in the affected area. The pus inside a pimple is made up of white blood cells which have died during the fight. A common cause of blackheads is a hormonal imbalance, which is why blackheads and acne are so common in teens going through puberty. The hormone DHT (dihydrotestosterone) is the main culprit, as it is the hormone which controls the production of sebum from oil glands. Hormonal imbalance during pregnancy is also a reason why many childbearing women find themselves breaking out in bouts of acne and blackheads. Similarly, the hormonal changes experienced during menopause can cause acne and blackheads in some women. An unhealthy diet may be another cause of hormonal imbalance. See our article on the best foods for acne and blackheads for more information. Although anyone can get blackheads and acne, your susceptibility to these skin conditions depends upon your genetic makeup and skin type. If you have an oily or combination skin type, then you are more likely to experience severe blackheads and cystic acne. If you are still unsure of the right blackhead treatment for you, then please browse the tips & tricks and blog section of our website where you will find plenty of useful information on the different treatments and products available. Included in our tips & tricks section is a skincare routine guide which is personalized for your skin type. If you are unsure of your skin type, then visit our skin type guide page. We believe that by following the simple guides on this site and choosing the right blackhead treatment for you, you can finially start to turn the fight against blackheads and acne. I am a slightly unusual case, as I have a dry/sensitive skin type but have many blackheads on my nose and forehead. I am worried about using chemical treatments or pore strips as I worry they will damage my sensitive skin. What kind of blackhead remover would suit me? We agree that for dry/sensitive skin types, harsh chemical treatments and pore strips are a no-go. Your first port-of-call should be a good fragrance free facial cleanser (see our facial cleanser page). After washing your face (and throughout the day), be sure to apply plenty of moisturizer, as this will help prevent irritation and hormone release (triggering further acne symptoms). You should fit this into your routine before and after bed. Make it a habit! If blackheads are still persisting, then a clay mask once every couple of weeks should be your next option. Kaolin Clay (White) is a great option for sensitive skin. See are skin care routine guide in our tips and tricks section for more details on a good routine for dry/sensitive skin. Hi, I am experiencing horrible acne and blackhead breakouts during my pregnancy. I wonder if you have any advice for this? Thanks for your comment. As discussed in the post, breakouts during gestation are caused by hormonal imbalances and subsequent excess sebum production. Dietary considerations, such as vitamin intake, drinking plenty of water and avoiding dairy, are important for balancing hormones (see are blog post: Best Foods for Blackheads in the tips and tricks section). Also, make sure to relax! Stress during pregnancy may not only be bad for the baby, but could also exacerbate hormonal irregularities. With regards to products and skin care routines: depending on the severity of your symptoms we may suggest trying the blackhead cream: More Than Clean by Vi-tae. It is an effective and clean formula, which should help bring your blackheads and acne down quickly. We suggest avoiding retinoids during pregnancy as they may cause harm to your baby. Hope we could help you Mellisa! Great guide! Though I think pore strips should be off the table. In my experience, the irritation and damage they cause to your skin only exacerbates the problem of blackheads and acne. Just use a blackhead extractor instead! Though I think pore strips should be off the table. In my experience, the irritation and damage they cause to your skin only exacerbates the problem of blackheads and acne.